Airbnb Review - What is Airbnb? + Airbnb Coupon Code! 31 Jul Airbnb Review – What is Airbnb? + Airbnb Coupon Code! Airbnb is a great alternative to hostels and couchsurfing and if you’re on a very long trip, it can make a nice home away from home for a short while. I’ve booked Airbnb’s in countries like Costa Rica, Slovenia, Argentina, Spain and Ecuador to name just a few! 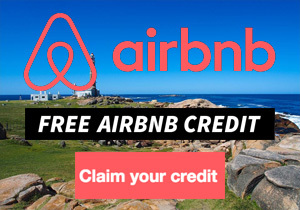 If you’re looking for an Airbnb coupon code just scroll down a little further. Here is the pool that came with the villa I rented on Airbnb during my second gap year! So what is Airbnb, how do you use it and do we have a coupon code for you to use? Read on for all the answers. What are the advantages of Airbnb? How much does Airbnb cost? What are the Airbnb Fee? What happens once I’ve paid the deposit? What happens if the Airbnb hosts make a claim? How do I book an Airbnb? What if the hosts decline my request? What if something goes wrong with my Airbnb? Why would you recommend Airbnb? Airbnb is a community led accommodation marketplace that enables avid travellers to book an array of lodging all over the world online and via a smartphone or tablet. 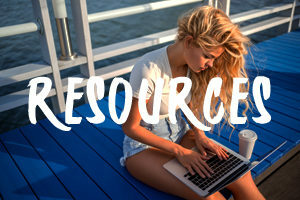 The company, based in San Francisco was founded in 2008 and has since exploded onto the travel industry through their unique approach to accommodation that can provide travellers with a “home away from home” feel; whether it be for days, weeks, or months. To date, Airbnb has had over 1,200,000+ listings worldwide. You get to find accommodation that caters to your budget. Sure, you can book a castle in Munich if you really wanted to, but you can also find a one bed apartment in Manhattan for a fraction of the price you’d be paying for a hotel. It’s unique and you can experience your destination through the eyes of a local. The decoration will be different, and while there may not be any mini shampoos or body lotions (or maybe there will be) you have the opportunity to ask your host questions about their hometown and really get a chance to see the place for what it is. More often than not, the property comes with amenities such as a kitchen! This is ideal for saving money on eating out – and you can cook or use it as little or much as you’d like. Gap Year Escape can offer you £24 ($34) off your first booking with Airbnb. Just click here and sign up. It will automatically be applied. Airbnb offers accommodation ranging from flats to villas, castles to apartments. Choosing the length of time you want to stay in your chosen accommodation, you Airbnb boasts options of accommodation in over 34,000 cities, 190 countries, and has access to over 600 castles. Make a note of the amount of people you are travelling with, when you are planning to go, and what date you are departing. 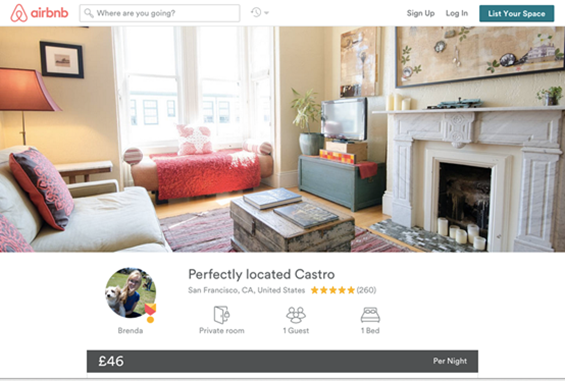 Airbnb will then show you any relevant listings that can cater to your requirements on the dates you expressed. 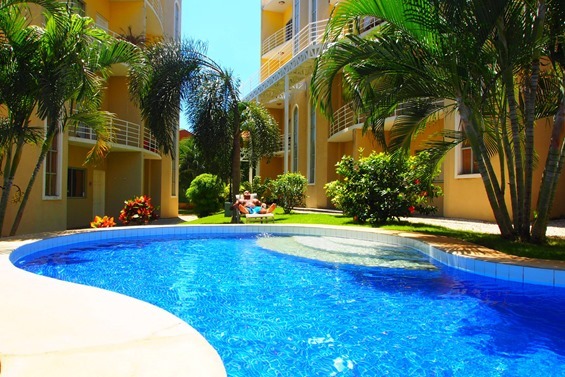 With a plethora of listings readily available, finding the right location for your stay is of paramount importance. Utilising their maps and neighbourhood guidelines will help you ensure that the location is convenient and well positioned for your travel desires. Each listing will state what amenities they provide, eg. Hairdryer and whether they permit smoking or not. Be sure to take note of these so you are prepared to bring extra items or look for somewhere else with suitable offerings. If you require some insight into the accommodation you are considering, be sure to read any reviews left from previous travellers and visiters. This can give you an honest and clear idea of what to expect from that specific listing. Finally, contact your host and introduce yourself. You’re going to be staying in their accommodation so it is the perfect opportunity to ask them any last minute pre-destination questions that may be buzzing round your mind. 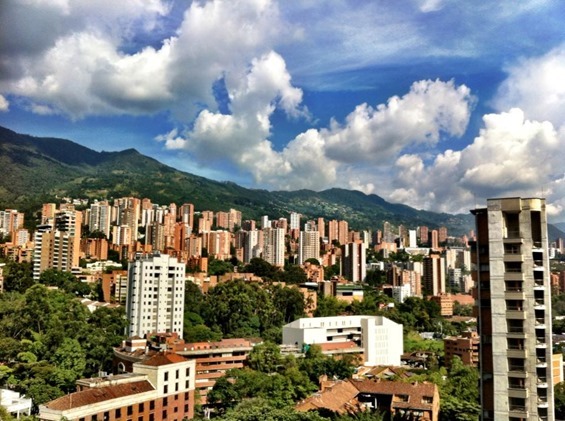 View from an apartment I rented in Medellin, Colombia. VAT – guests who reside in the European Union, Switzerland, Iceland, Norway, and South Africa. Because accidents can happen, such as breaking a door lock, leaving a stain on the carpet, or denting a table, your security deposit helps cover these accidents if they arise. The host will add a security deposit to the listing before you reserve and book, but it should be noted that off-site payments are prohibited and are a violation of the Airbnb terms. Once your reservation has been accepted, your payment information is securely stored. No charges will be made to your choice of payment unless the host has a reason to make a claim, in which case they have 48 hours after your checkout date to do so. If a host is unhappy with the condition in which you left their property, or there is significant damage, after they have made a claim on the security deposit Airbnb will mediate, and as necessary will retract payment from the guest. You can read more about the claim process as a guest, here. There are some steps to take in order to book your dream accommodation on Airbnb. First of all you need to sign up! The beauty of Airbnb is the variety of its accommodation, and with that comes a variety of owners and hosts too. While some hosts are comfortable letting you book their place instantly without approving it, others like to know who is coming. Filling out a profile with photos and verified ID can help your host to know a little bit about you prior to your arrival and for their own peace of mind. Search the dates you wish to travel and the number of guests who are staying with you. Do your research and follow your gut instinct! It might be the best travel decision you will ever make. There are a couple of ways to go about booking your ideal accommodation. Click “Book now” when you’re ready and you’re off! You will then shortly receive an email confirmation including payment and your trip details. In the interest of trust, which Airbnb is grounded on, many hosts prefer to approve reservations before they’re confirmed. Your host then has 24 hours to accept, and once they do your request will automatically go through. If they decline your request, for whatever reason, or they do not reply within the allocated 24 hours, you will not be charged. Airbnb recognise that travelling, be it alone, with friends, family, or partner, can be tiring and weary. The customer support team is there 24/7 to ensure that all your requirements are met and your questions, big or small, are answered, so you can rest assured your stay will be a pleasant and enjoyable one. If you have any concerns before, during, or after your stay with accommodation booked via Airbnb, you can contact them anytime at airbnb.com/contact. 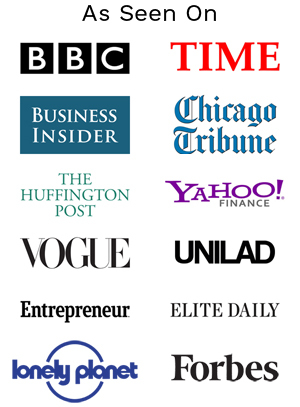 Fail to plan, plan to fail – reading everything a host has included in their description will better equip you with the knowledge of what amenities the property includes, any cancellation policies, and where it is located in relation to your ideal destination so as to avoid any nasty surprises. It is encouraged that you take some time to message your future host and acquaint yourself and your guests with whom you will be staying. This is not an obligatory requirement, however the opportunity to ask a local any questions about the are over a beer is always a plus. No one can predict the future, so having gap year travel insurance to cover you and your guests while you’re abroad is advisable. In case of an emergency or injury on a trip, or lost bags and travel delays, your insurance might cover it. It is also advised to check with your local insurance provider for any details on what options you have. For vital documents such as passports, visas, and national insurance cards, it is recommended to have a paper and digital copy in the case of losing your ID while travelling. A top tip is to keep your money and ID in different places, so that if you lost your wallet or bag or it is stolen, your entire identity and cash isn’t taken too. Enjoy your trip, and be a considerate guest! Remember you are staying in someone’s house, apartment, flat, or castle..treat it with the respect you would want someone to treat your home with, and enjoy the unique experience that Airbnb has to offer. Airbnb is an innovative, fresh, friendly, and uniue approach to travelling, and can provide you not only with a comfortable, homely, and satisfying place to stay, but potentially with a new found friend – depending on how much time you’d like to spend with your host. There is no pressure to spend the majority of your stay with your host, however sharing a beer with them can provide you with an invaluable opportunity to find out about the local hotspots and ask any questions about the area – so it’s up to you how you spend your time! If you are keen on having an American adventure, we’ve had a couple of accommodation ideas that might just get your wanderlust rolling without making your wallet roll too. 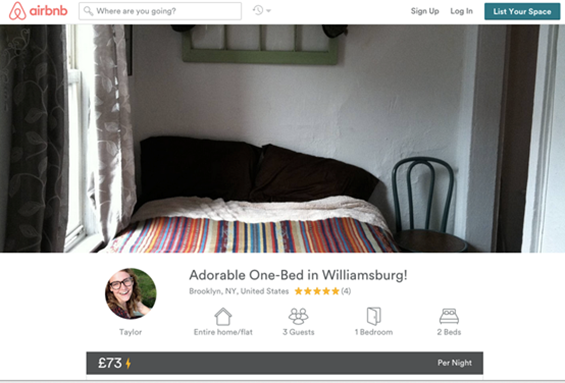 This adorable one-bed in Williamsburg, NYC is perfect if you are travelling on your own or in a couple, with a limited budget per night. Situated in Brooklyn, this property is situated in the heard of Williamsburg and can be reached by public transport in just under 30 minutes. If you are more of a Manhatton inhabitant, this stylish 2 bed apartment offers smartly functional sleeping, living, and dining areas – so your stay is as convenient and comfortable possible. If an 1895 Victorian flat in the heart of San Francisco is your taste, this 1-bedroom bargain is perfect for you. With internet, kitchen, heating, and dry amenities, this Castro is a relaxing haven waiting for you. A spacious, inexpensive room located 25 minutes from Downtown San Francisco. Comfortable Chicago guest room close to metro stations with resident cat – perfect if you’re missing your feline friend. A bright and colourful bedroom located in the front of the house, so you can rest assured your stay in Chicago will be peaceful. Don’t forget, if you’re new to Airbnb, just sign up by clicking here and you’ll receive £24 ($34) off your first booking. Love Airbnb! I spent 6 months on the road and it was really nice to be able to get an apartment for a week which I shared with a friend. Wasn’t much more expensive than the hostel either and obviously much nicer! Nice write up. I’d already set up an account but will pass onto my sister who is thinking of booking airbnb for her trip to Europe.